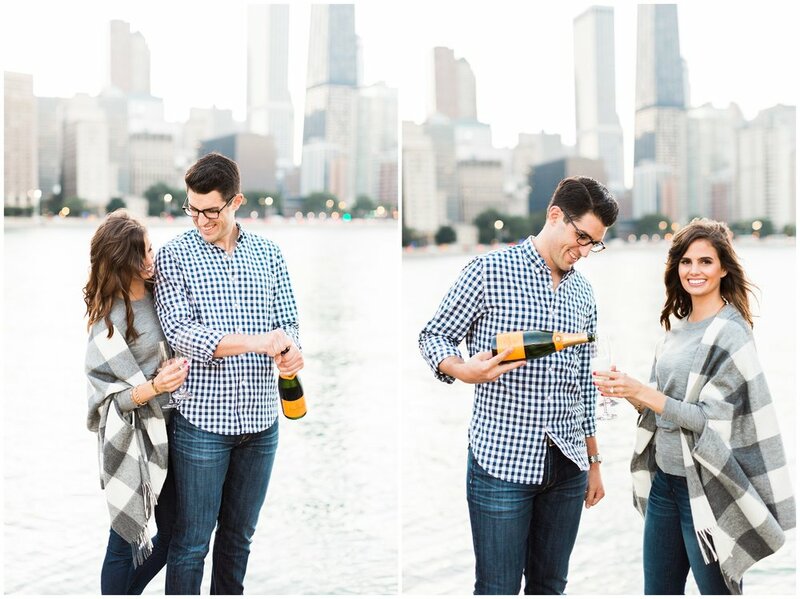 I knew my engagement session with Casey & Meredith was going to be a success the minute they texted me and offered to buy me a shot to start off our session (these two are the real deal of fun, ya'll). 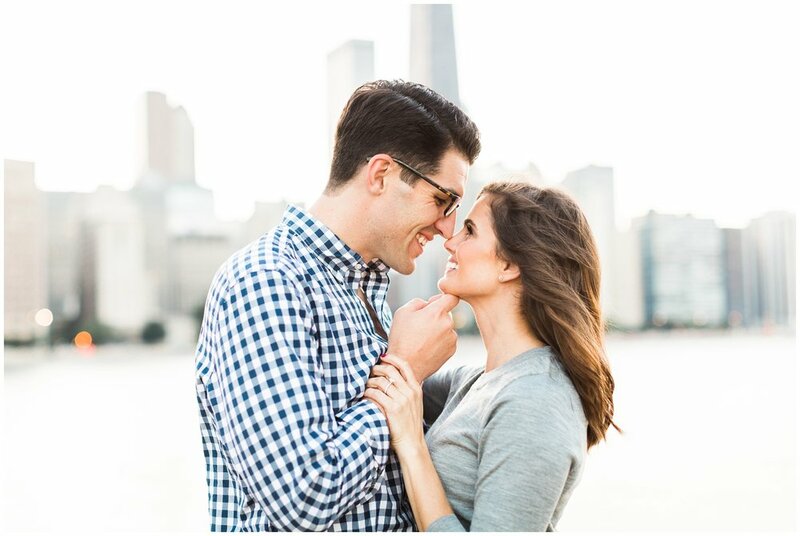 Before I brag about what an amazing time I had photographing them around the city, I need to start by telling everyone the way Casey & Meredith met, because if I'm being totally honest, it might be the best "how we met" story I've ever heard. Casey and Meredith first met at a country concert in the city, when Meredith was photobombed by this tall, dark, handsome stranger (making a ridiculous face, I should add) while she took a photo with her friends. It obviously sparked a conversation, and the rest is history. While I know they met by chance, it obviously wasn't any accident because these two are absolutely perfect for each other. 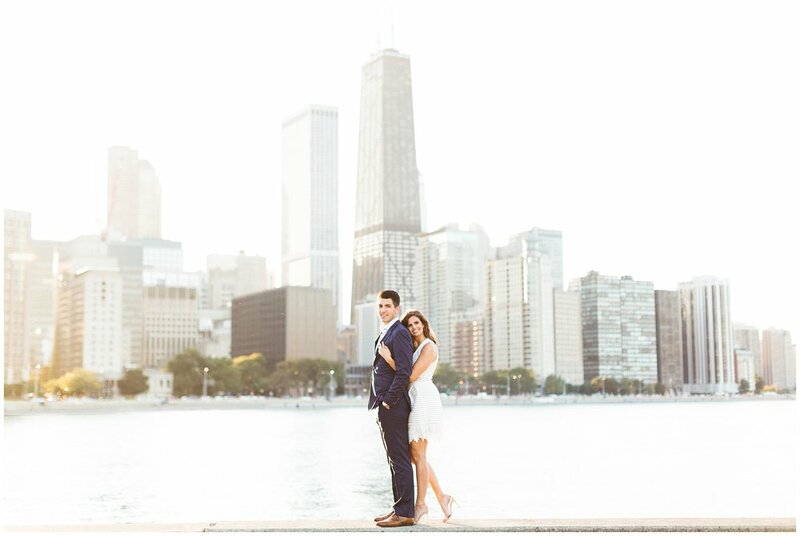 We started off our session at the Wrigley Building and ended up at Olive Park for a little champagne and more laughs & sweet moments. I'll be counting down the days until their wedding next year- their love is effortless and simply a joy to photograph.